A unique flawless 60.70 ct Tanzanite Collectors Stone, acquired by Mr Shimansky himself 8 years ago, is currently on show for all to see at the Shimansky Diamond Experience at the Clock Tower, V&A Waterfront. The Anthem Project is an initiative aiming to bring South Africans together through song, dance and music. Find out more about the creative project and the positive impact is has on the nation. Beautiful rays of sunshine, and breathtaking views make Cape Town one of the most popular tourist attractions in the world. For tips to stay cool (and safe from the sun) in the Mother City read the following. As bewitching as it is beguiling, a bespoke Skull Pendant valued at R1 Million is on display at the Shimansky Diamond Experience at the Clock Tower, V&A Waterfront, for the month of November 2018. For many visitors to Cape Town, acquiring a rare, beautiful diamond or tanzanite jewellery creation adds an unforgettable sparkle to their trip. From first-time to seasoned diamond buyers, tourists frequently ask: Where do I find real diamonds? 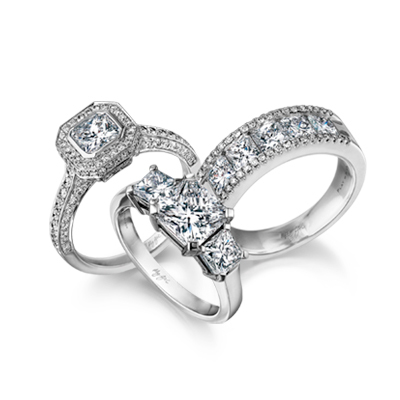 Shimansky diamonds' are ethically sourced direct from the mine to your finger. International visitors to South Africa can claim back up to 15% Value Added Tax (VAT) on purchased diamond and tanzanite jewellery on departure. Taking advantage of the Rand’s favourable exchange rate against foreign currencies and claiming VAT back makes purchasing in some of the world’s most stunning jewellery pieces, even more attractive. Why should you visit the Shimansky Diamond Experience while you’re in Cape Town? A visit to South Africa would not be complete without experiencing its vivid natural wealth, making the Shimansky Diamond Experiences in Cape Town a must-see and a high profile on top tourist itineraries. From exclusive, private tours to the graceful hosting of large tour groups, Shimansky’s three unique Diamond Experiences can seamlessly meet the needs of tour operators and tour guides aiming to deliver unforgettable, quality Cape Town experiences for their clients. Travellers to Cape Town are always in for a treat. We list the useful information about Cape Town, to get you ready for the vibrant, multicultural and cosmopolitan city as we answer the six most common questions asked about Cape Town. Visitors to the Shimansky Diamond Experience at the Clock Tower, Waterfront in Cape Town can view a 4 000 carat rough Tanzanite on display. This magnificent gem originates from Tanzania, at the foothills of Mount Kilimanjaro which remains the world's only known source of Tanzanite to date. Heritage Day is a holiday in celebration of South Africa's diverse cultures. View our top picks of things to do to in Cape Town, to celebrate this day. Discover the best that South Africa has to offer. Cape Town is home to a rich history, a rare floral kingdom and Table Mountain, one of the 7 New Natural Wonders of the World. Embark on a journey of discovery at the Cape Town Diamond Museum, located in the heart of Cape Town at the world-famous V&A Waterfront. With multiple five-star reviews on TripAdvisor, the Cape Town Diamond Museum remains one of the best tourist destinations in Cape Town. HOW SAFE IS CAPE TOWN FOR TOURISTS? One of the most frequently asked questions when travelling to South Africa is "How safe is Cape Town for Tourists?" To answer this question, we look to our long-standing relationships in the tourism industry for the latest, accurate information. South Africa has one of the richest diamond legacies in the world, and it’s not surprising that the stories of its diamond heyday are full of adventure and intrigue; rivalry, betrayal and uneasy partnerships; spectacular discoveries, back-breaking toil and incredible wealth. From breathtakingly beautiful mountains to extraordinary ocean views, there’s no shortage of things-to-do in the Mother City. No wonder this extraordinary city is one of the most popular tourist destinations in the world. However, last year travellers were left high and dry after the City of Cape Town announced one of the world’s most desirable destinations is about to be left without water. Cape Town’s tour guides and operators know well that high-end visitors to the Mother City most appreciate exclusive experiences and highly personalised attention. Shimansky’s Secret Diamond Chamber Experience at The Rockwell has been specifically designed to provide an elite, intimate diamond tour. WHY IS TANZANITE SO POPULAR AMONGST TOURISTS? Tanzanite was discovered in 1967, and named after its country of exclusive origin, Tanzania, a year later. In the world of gems, it’s the latest addition but it has quickly become sought after, especially by tourists who want a tanzanite experience as part of their African travels. The Shimansky Diamond Experience at The Rockwell, which was launched almost a year ago, provides Cape Town’s tour guides and operators with exceptional, tailor-made diamond tours that completely delight their clients. A visit to South Africa would not be complete without experiencing its vivid natural wealth, making the Shimansky Diamond Experiences in Cape Town a must-see and a high profile on top tourist itineraries.